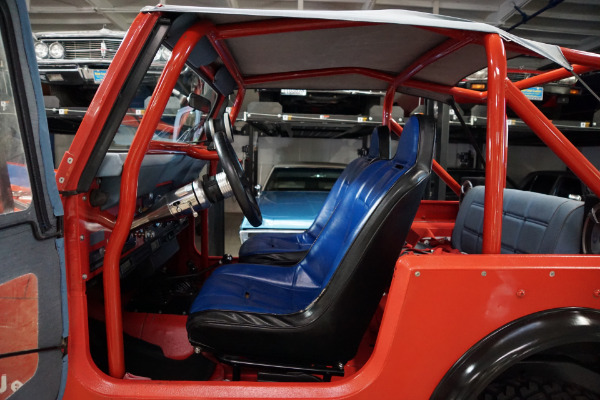 Voted as none less than the #2 of the "9 Hottest Collectible Cars Right Now for 2018" by none less than the 'Hagerty Bull Market List' for 2018, with two-thirds of quotes that are requested from Hagerty coming from Gen X and Millennials. 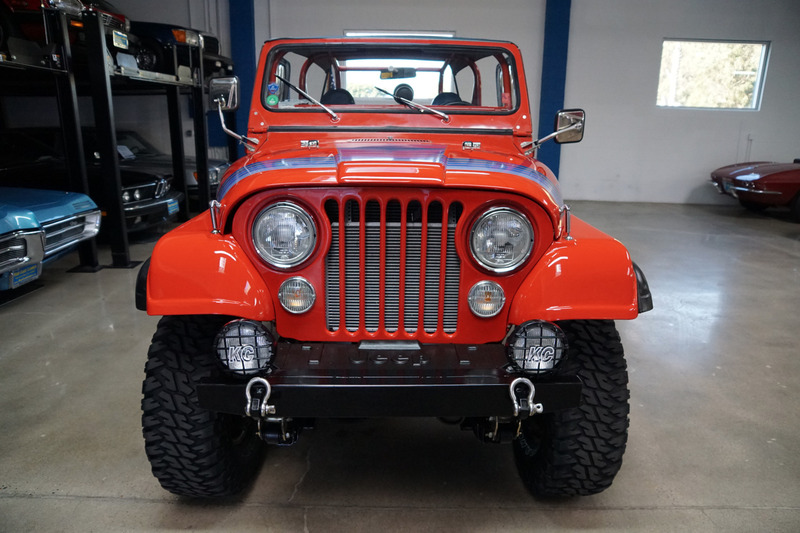 This interest from those younger generations means it stands to do well, as those are the collectors who are actively growing their collections. 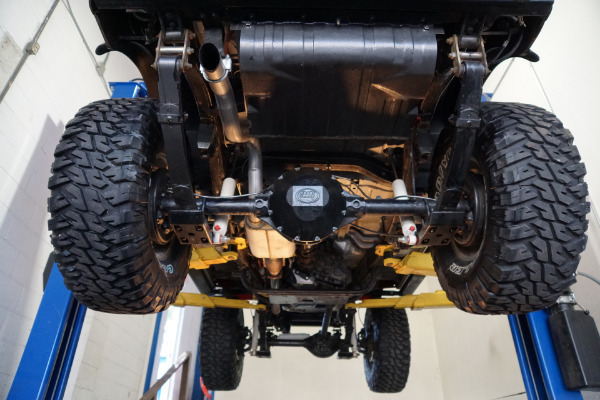 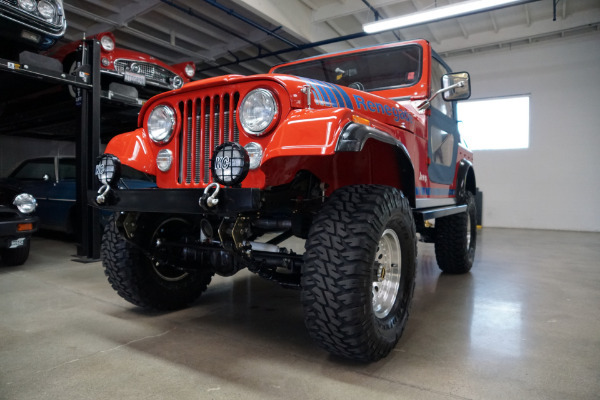 After remaining in production through a range of model numbers, and several corporate parents, the Jeep CJ line was officially ended in 1986. 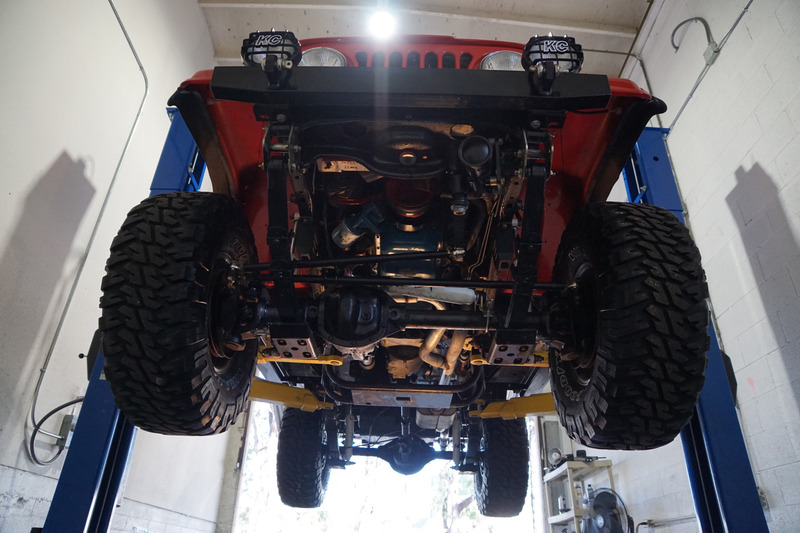 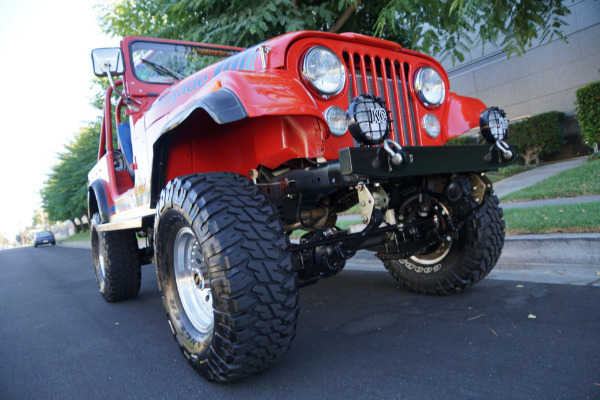 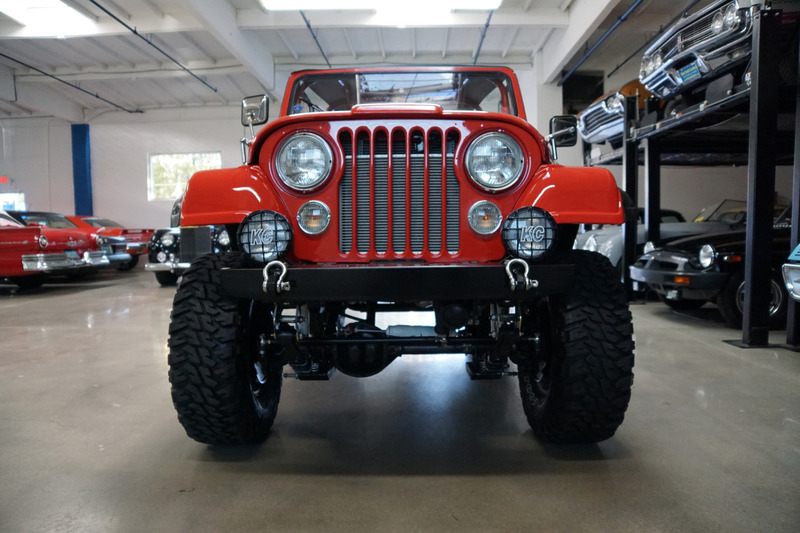 More than 1.5 million CJ Jeeps were built, having continued the same basic body style for 45 years since the Jeep first appeared. 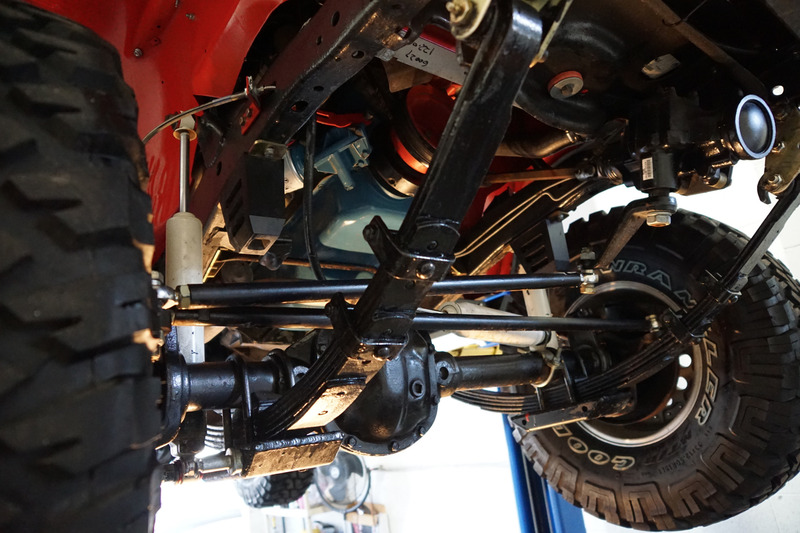 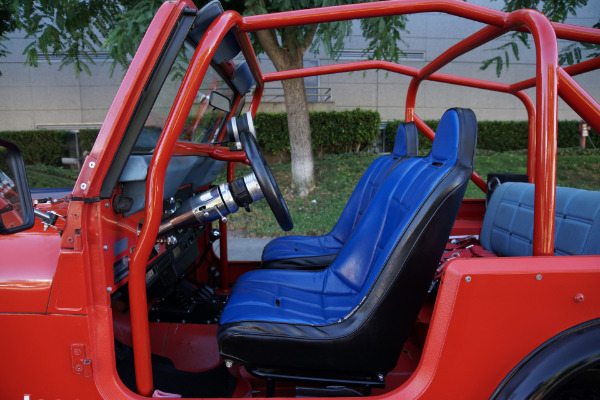 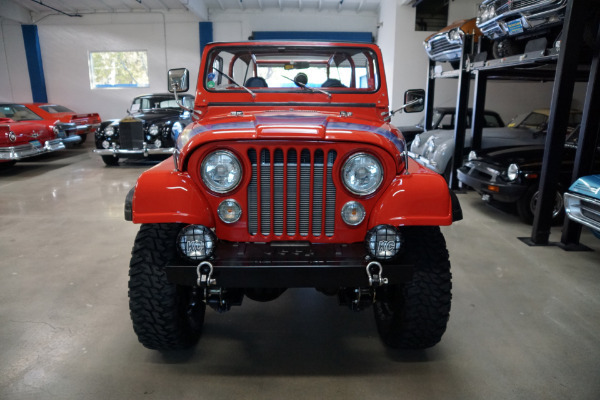 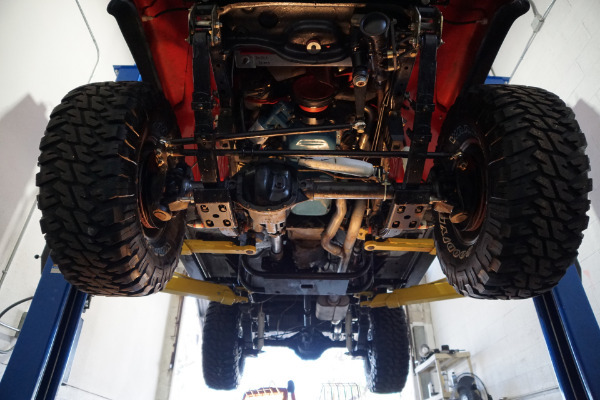 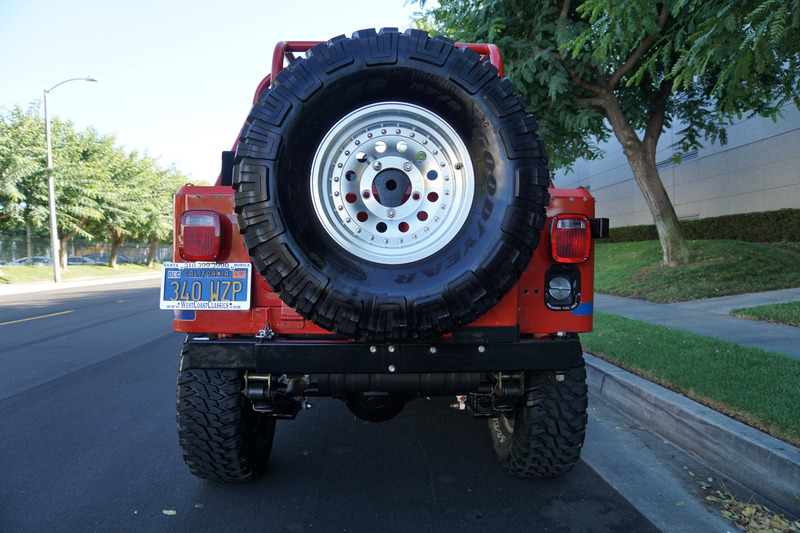 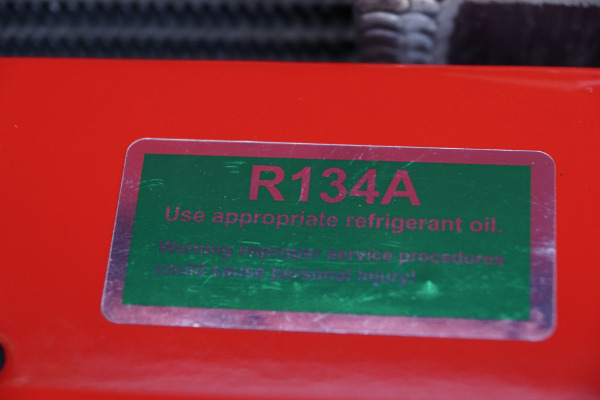 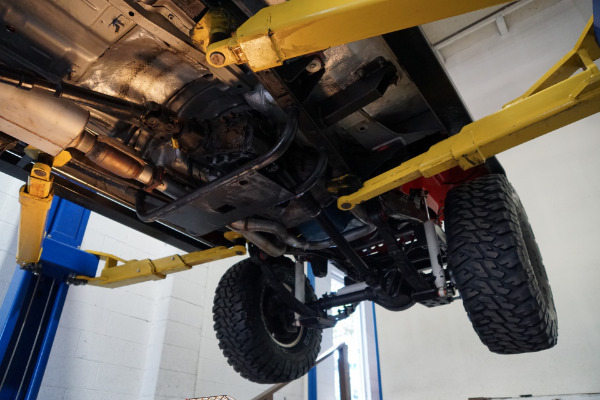 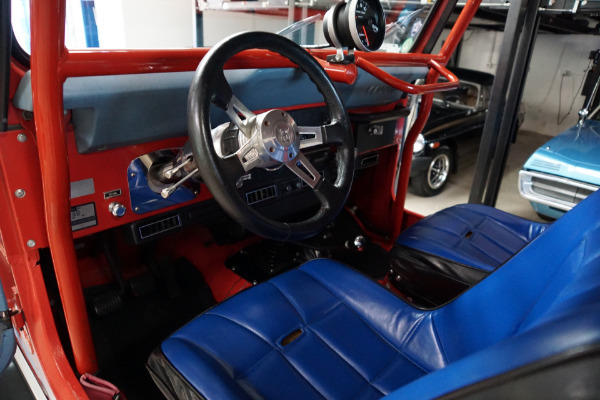 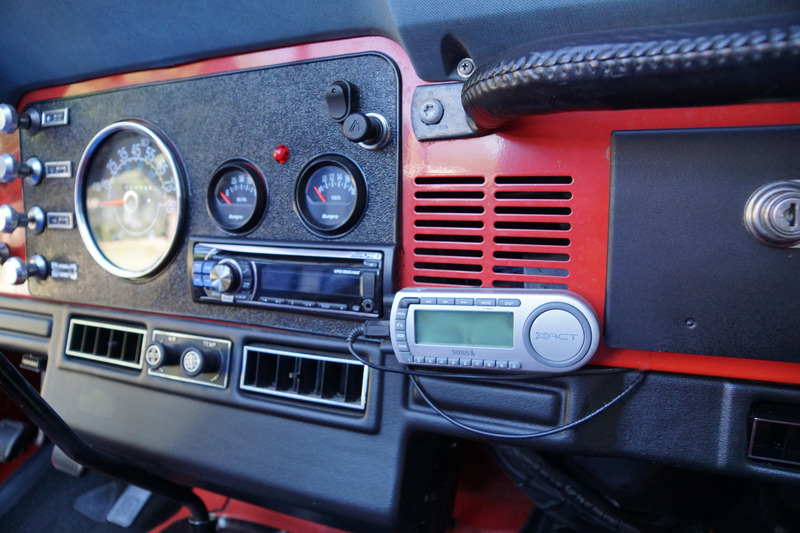 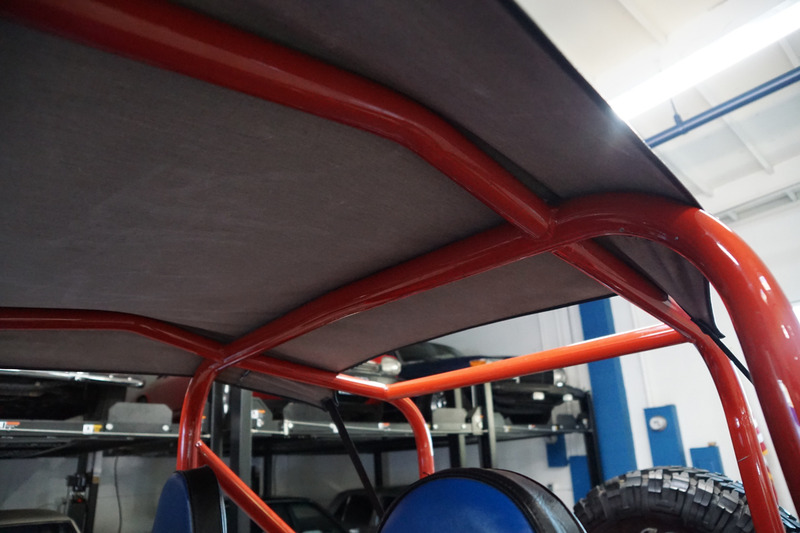 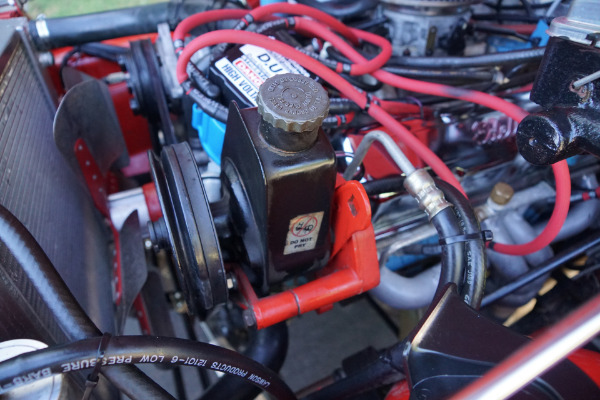 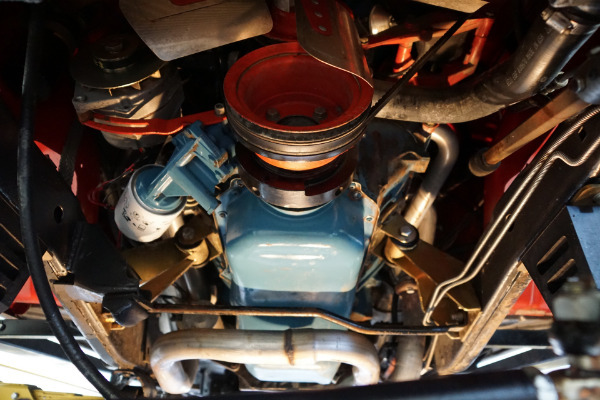 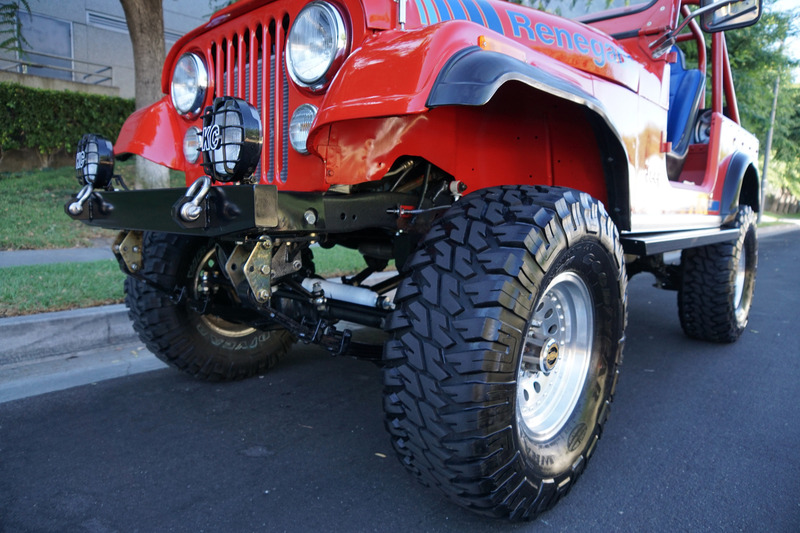 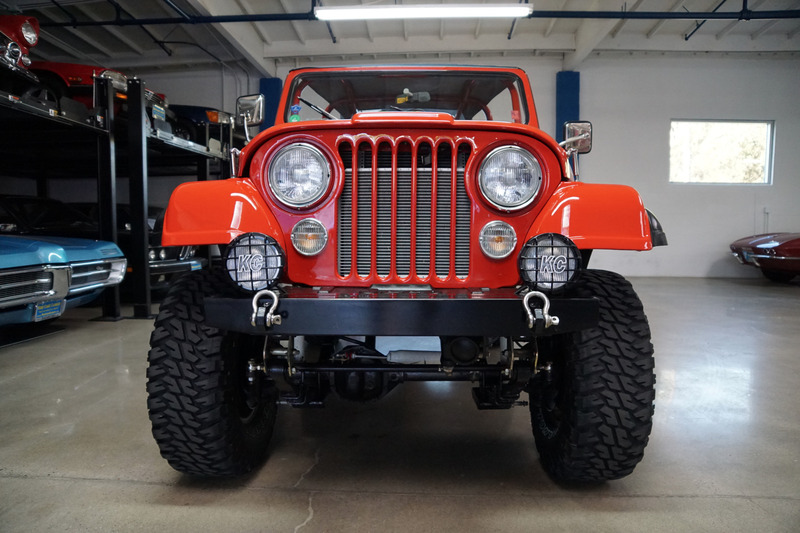 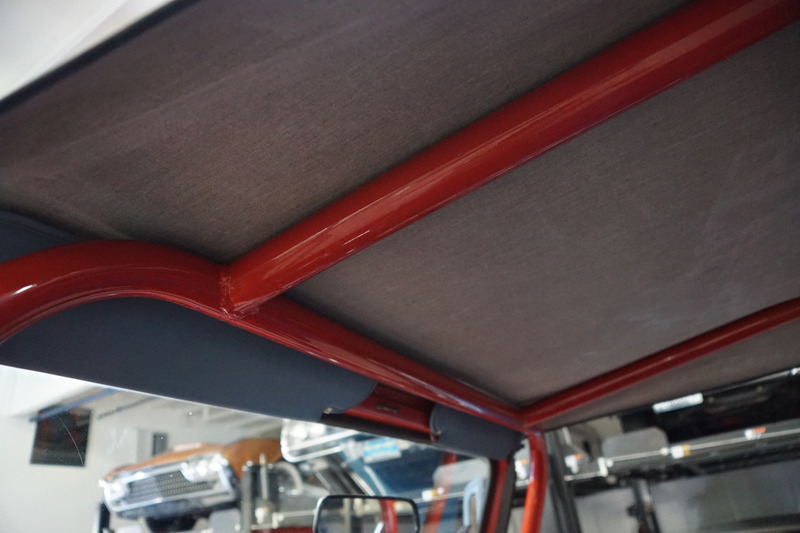 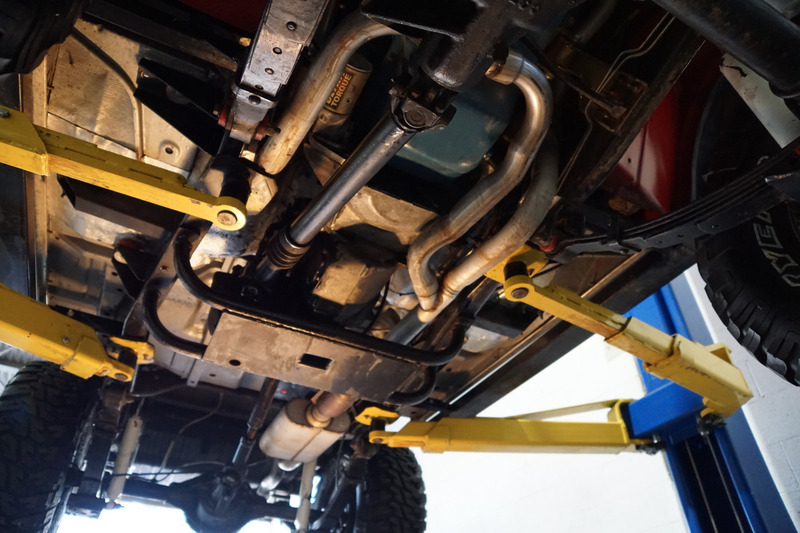 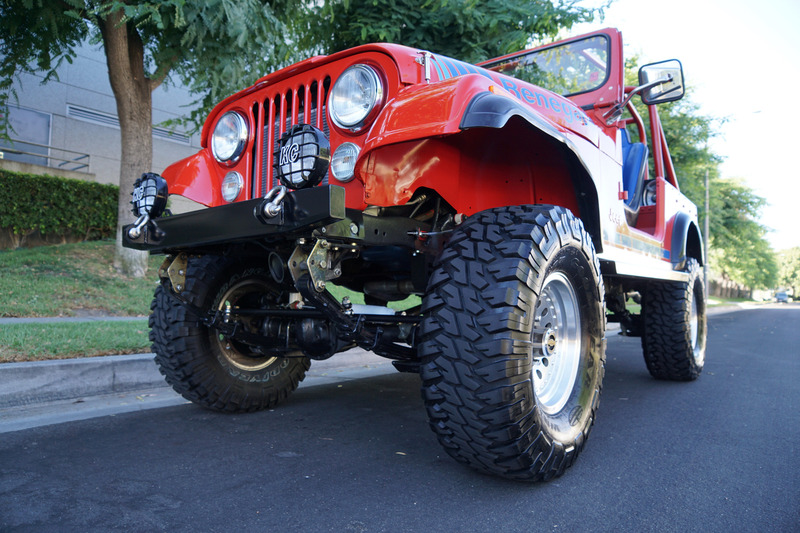 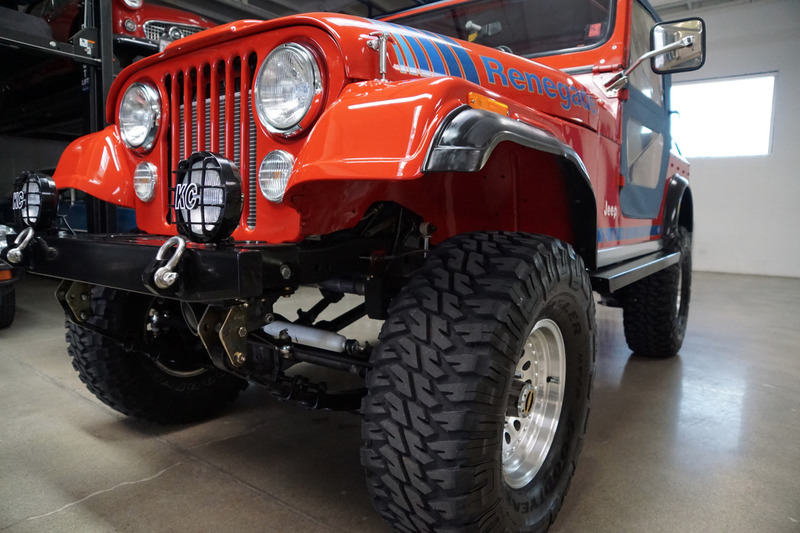 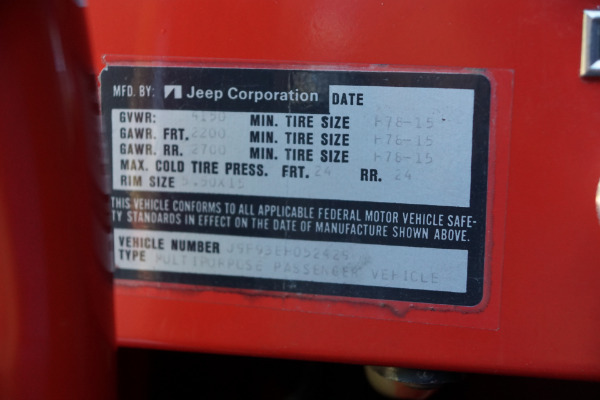 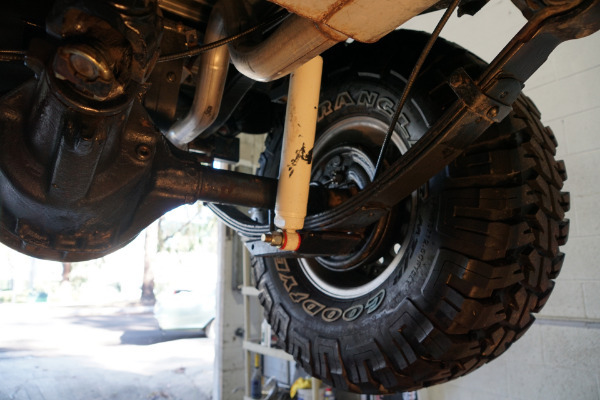 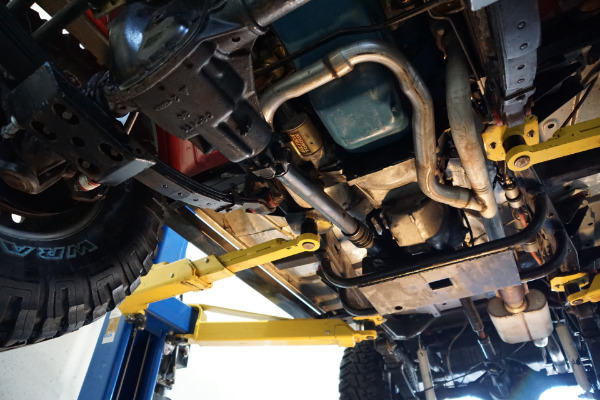 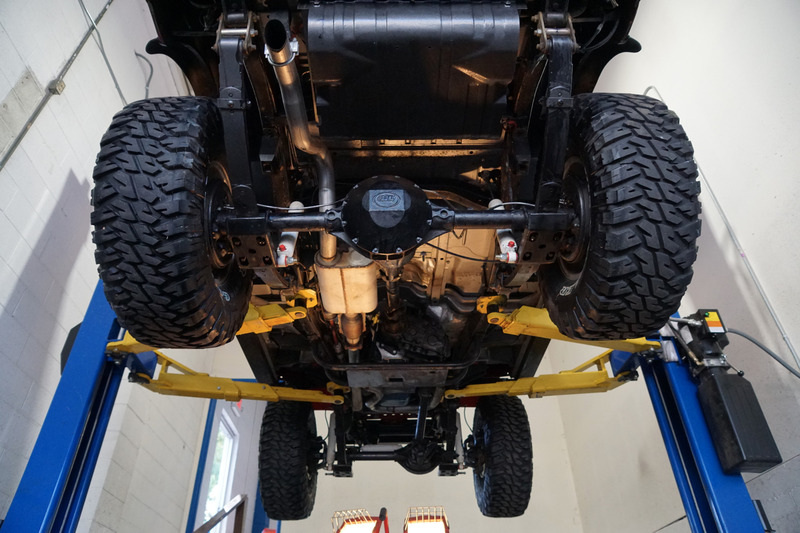 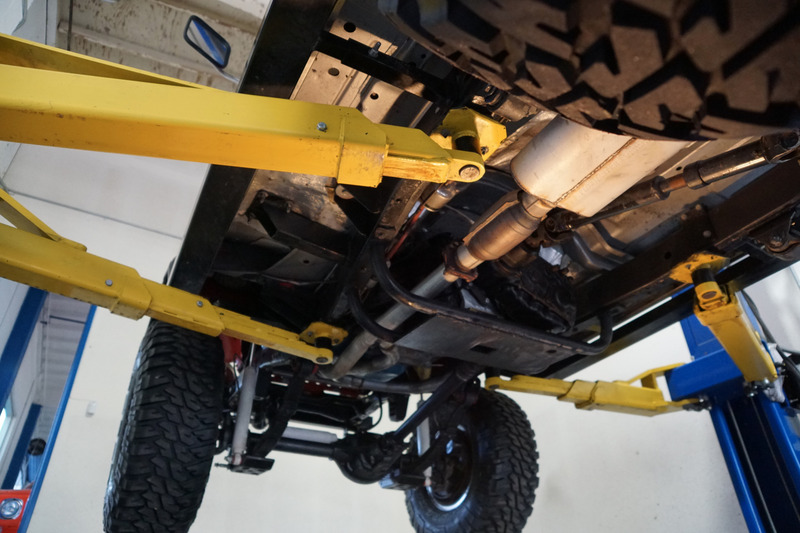 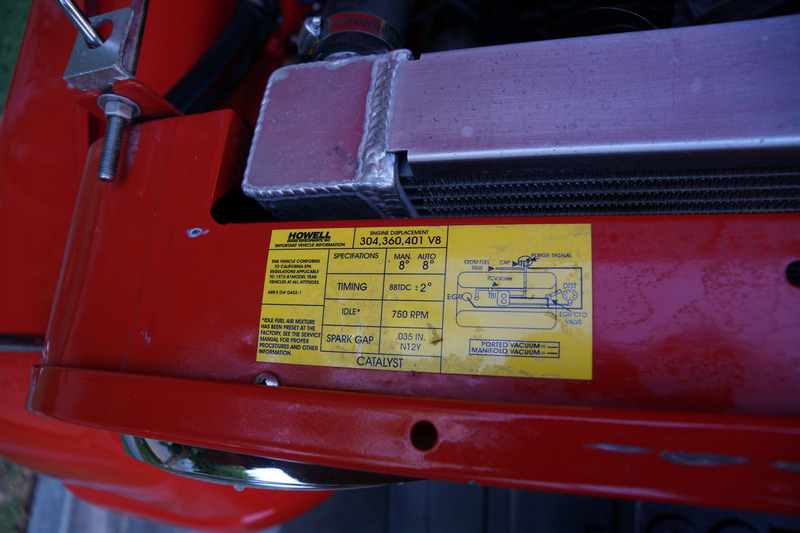 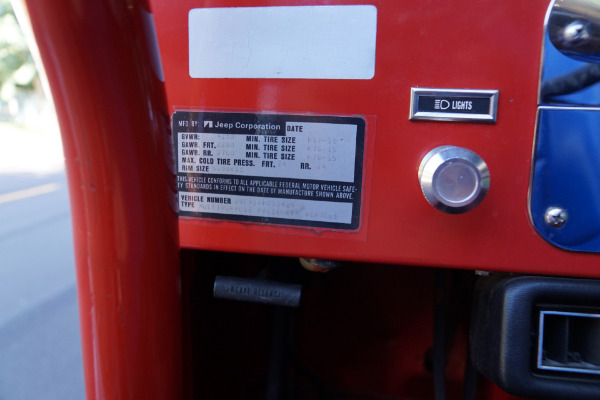 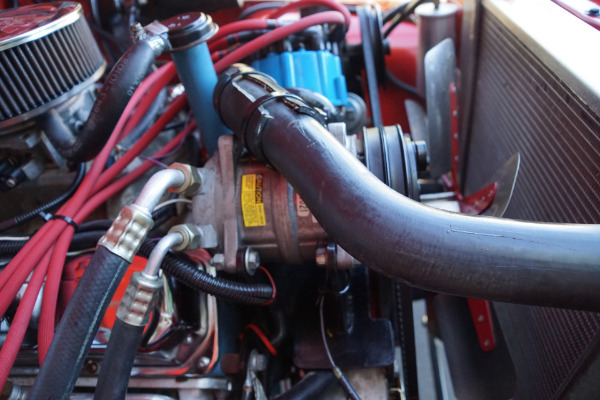 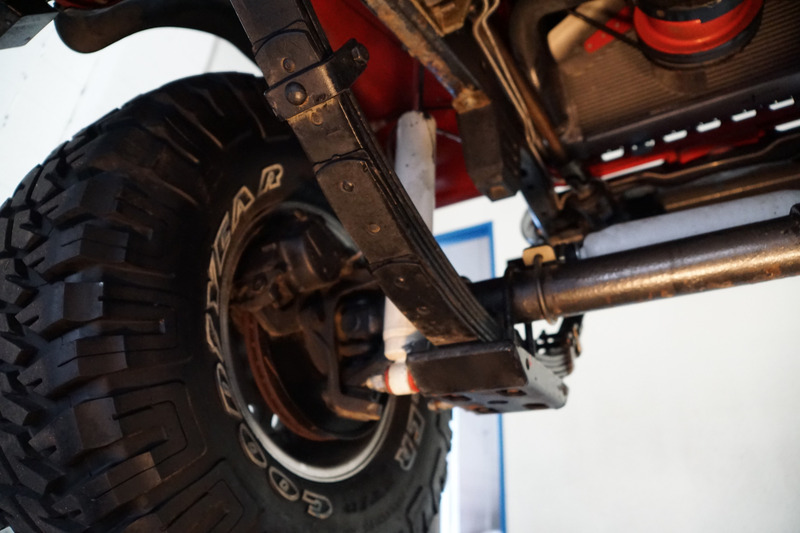 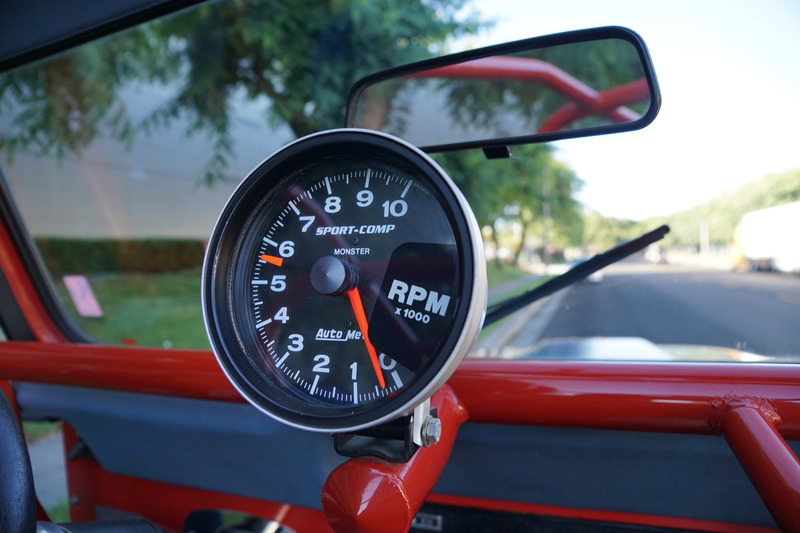 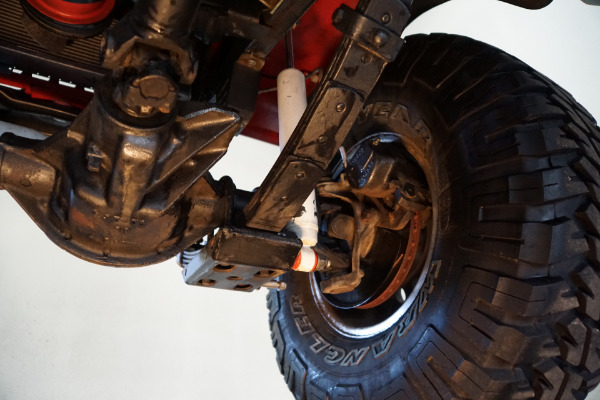 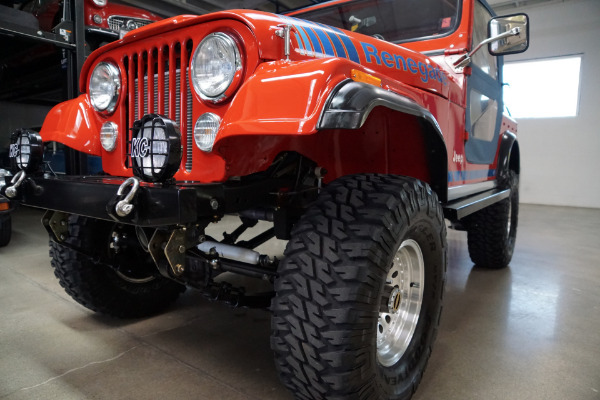 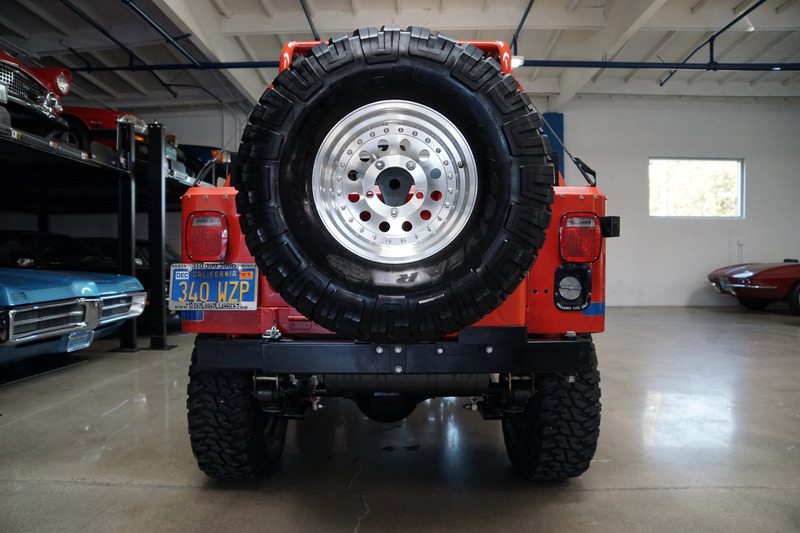 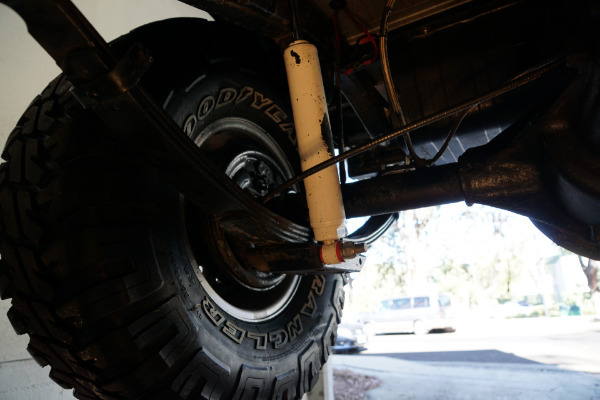 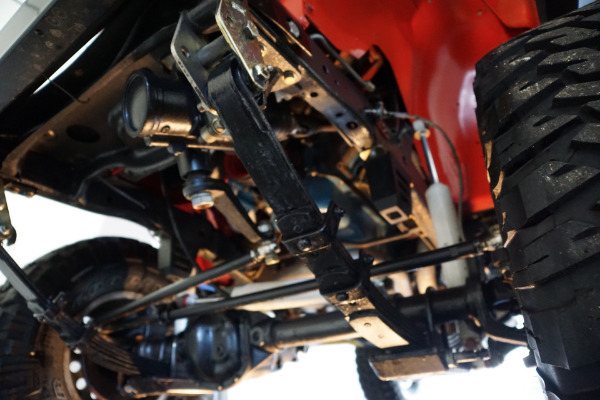 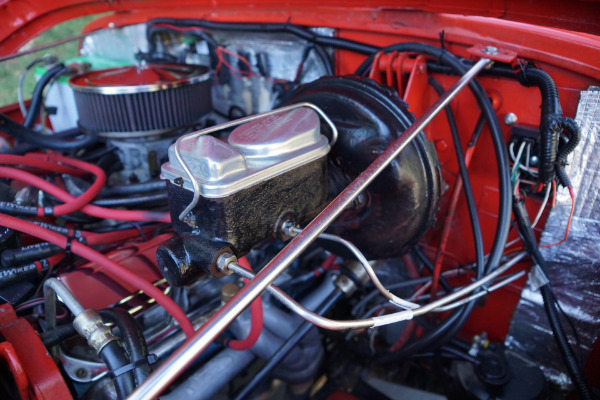 The Jeep CJ series of 1976-86 has the imprint 'Since 1941' somewhere in the interior, although Willys-Overland had not officially been granted the Jeep trademark until 1950, well after the company had already developed a good business selling civilian versions of the wartime Jeep. 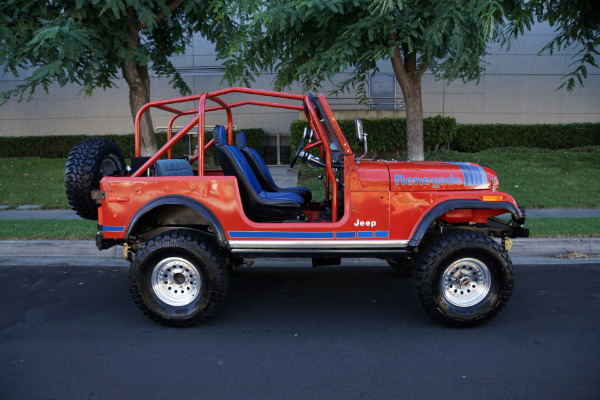 Probably the smartest thing American Motors president Roy Chapin ever did was acquire Kaiser-Jeep Corporation in 1970. 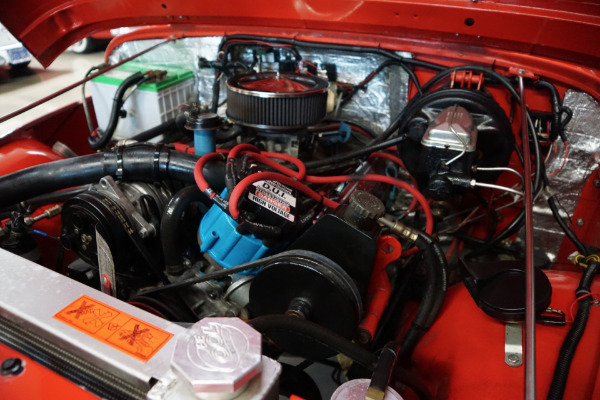 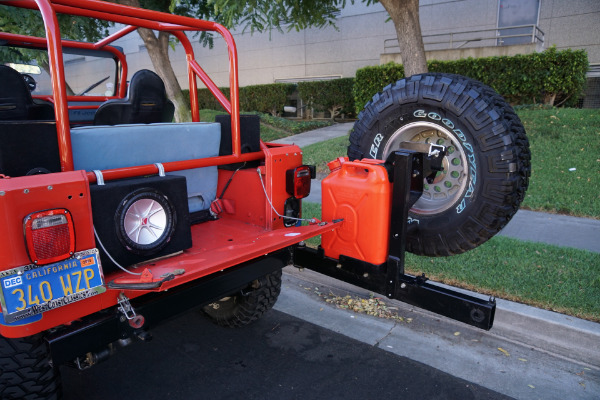 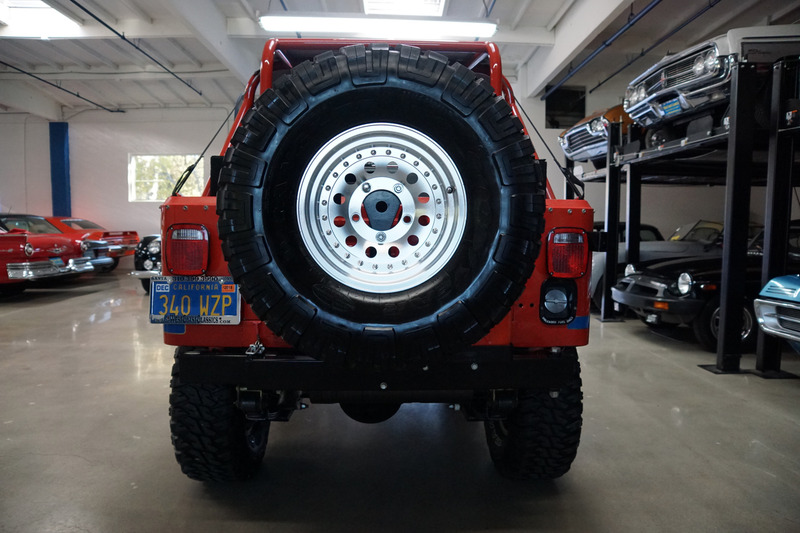 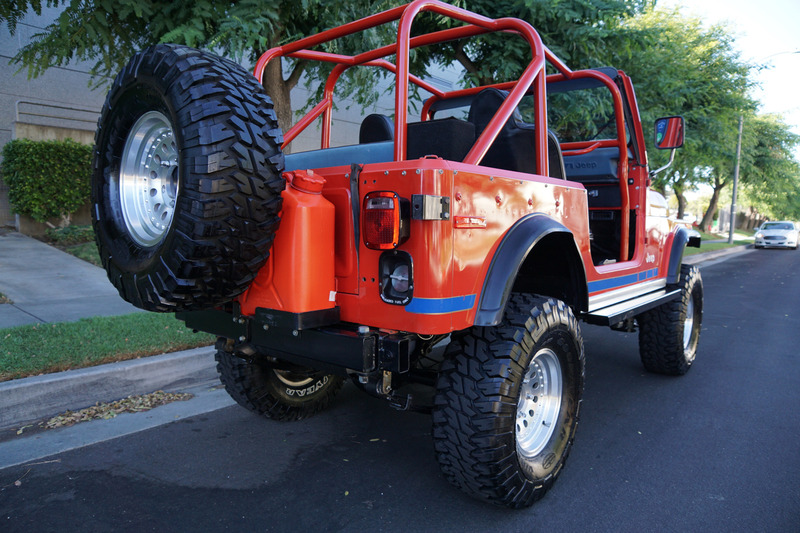 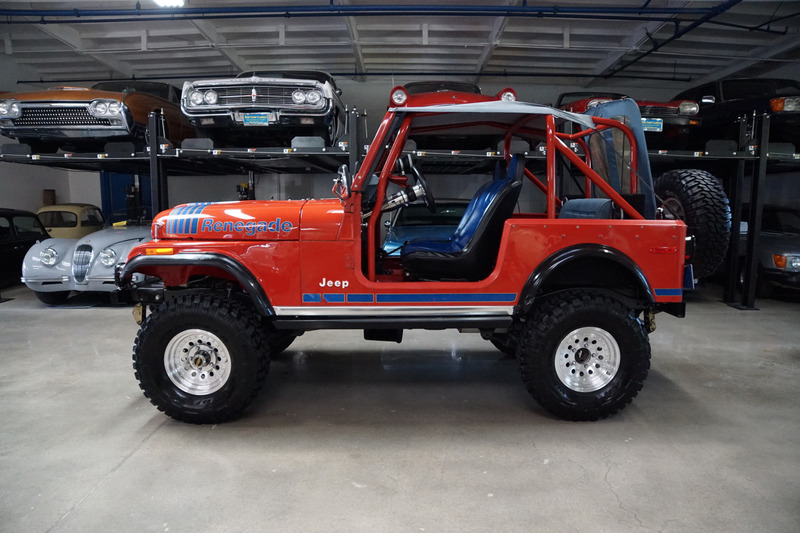 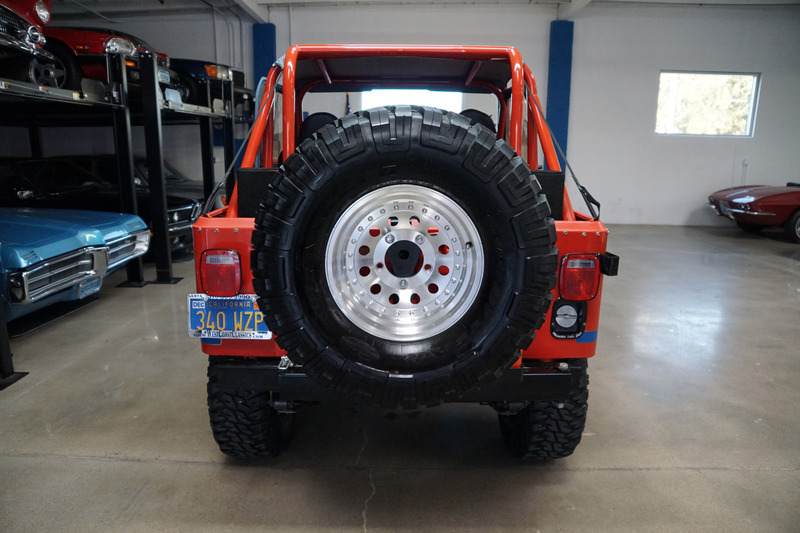 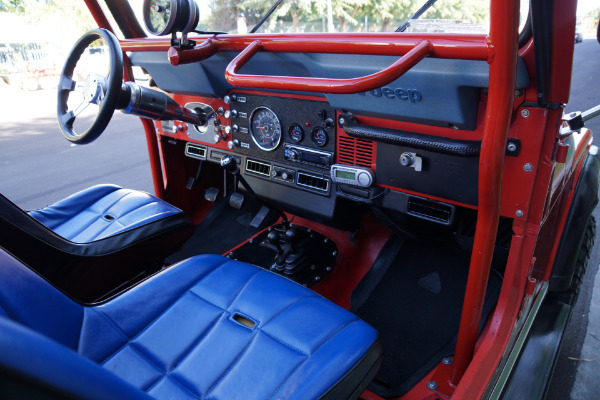 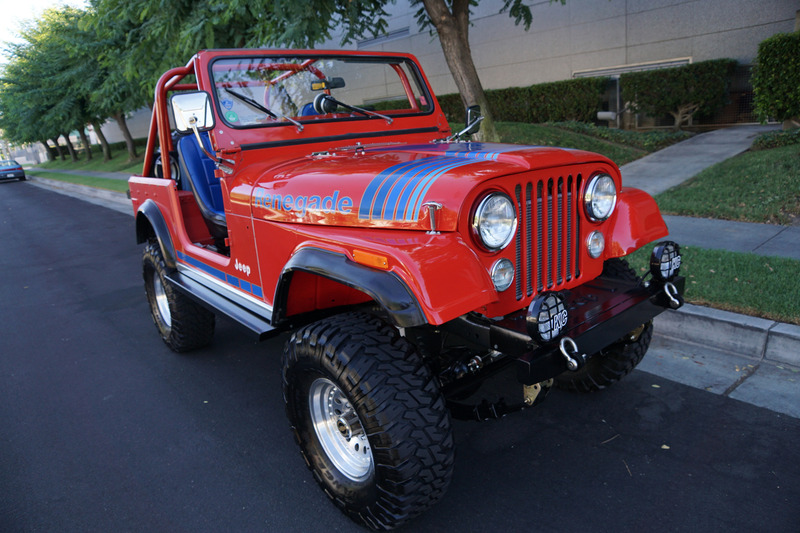 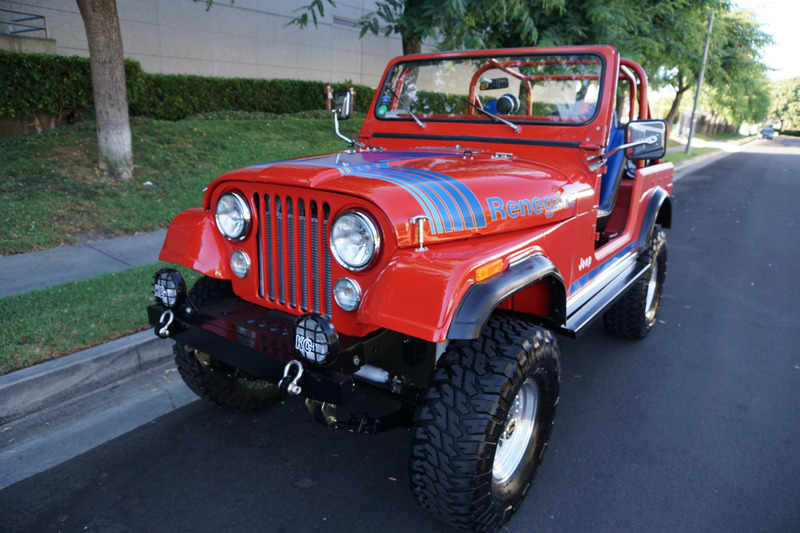 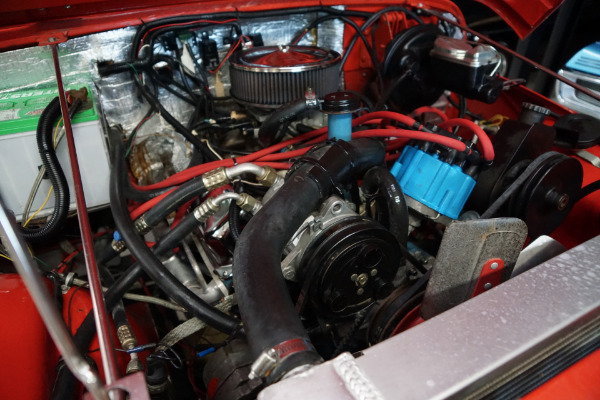 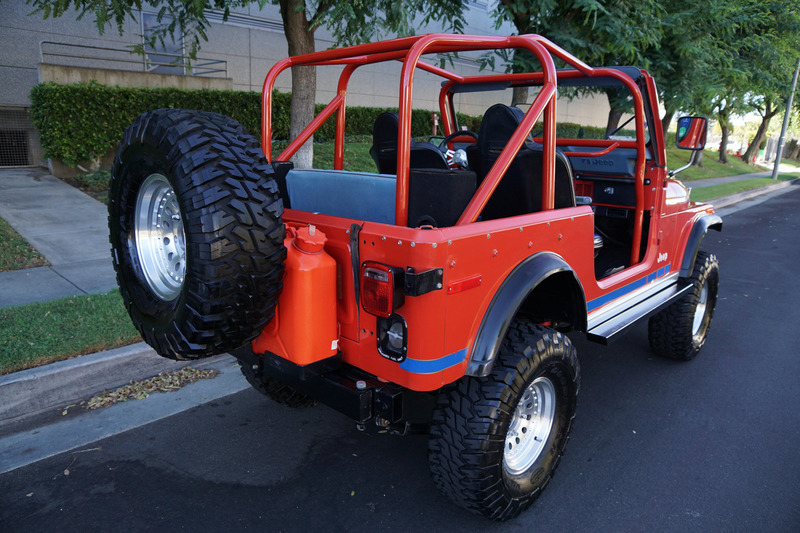 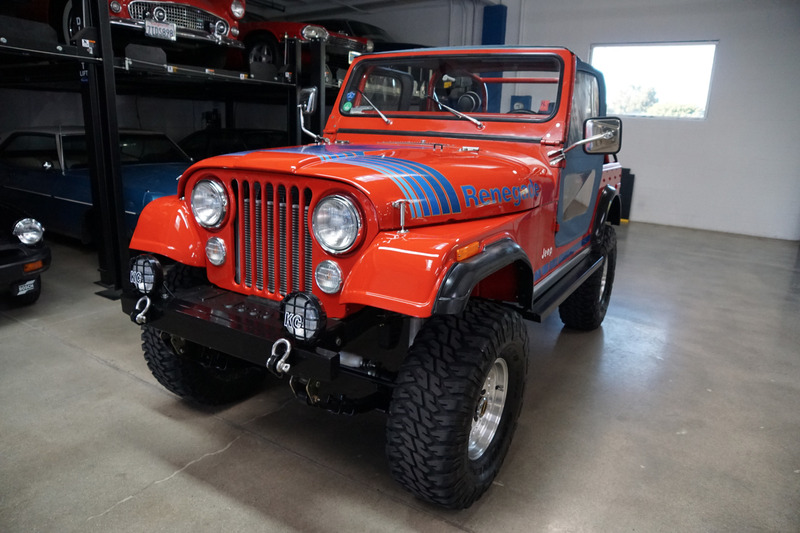 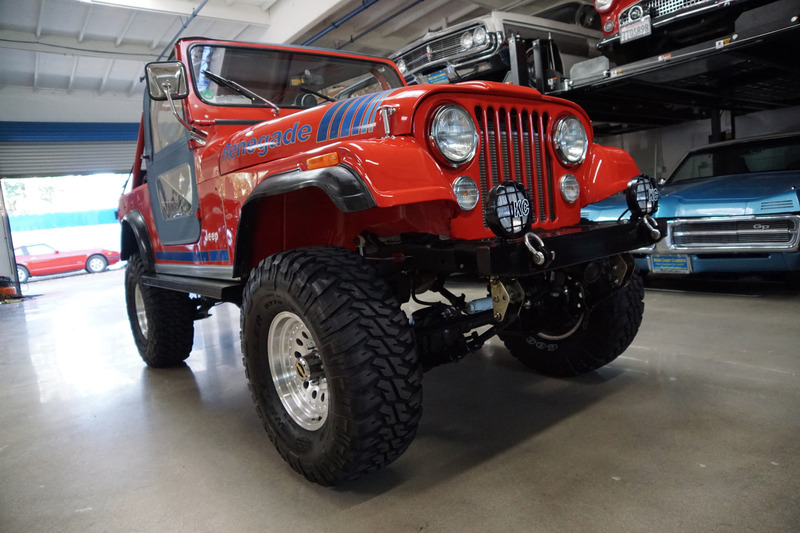 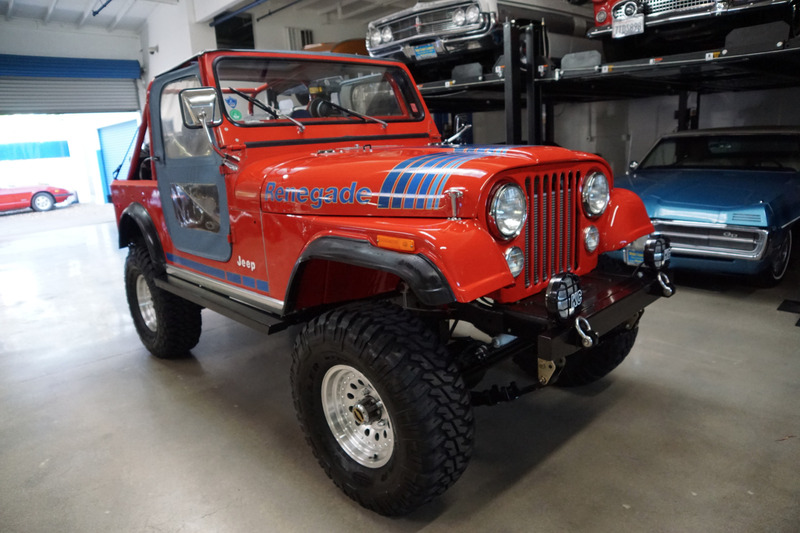 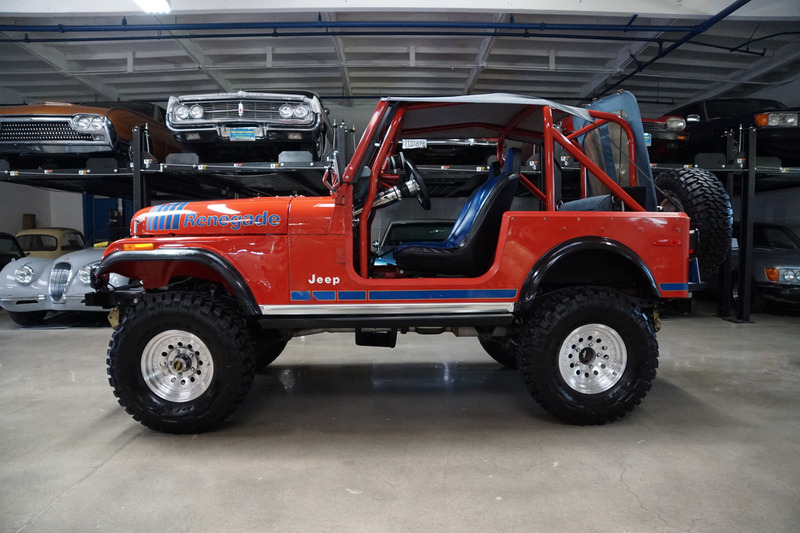 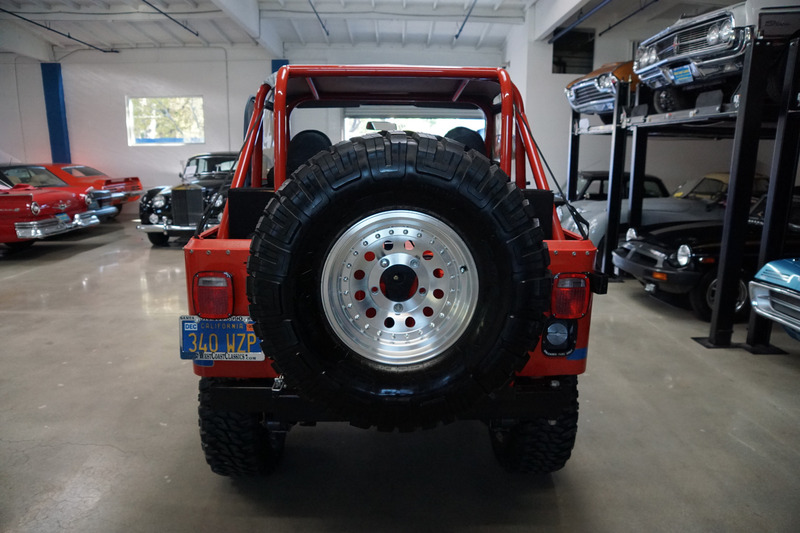 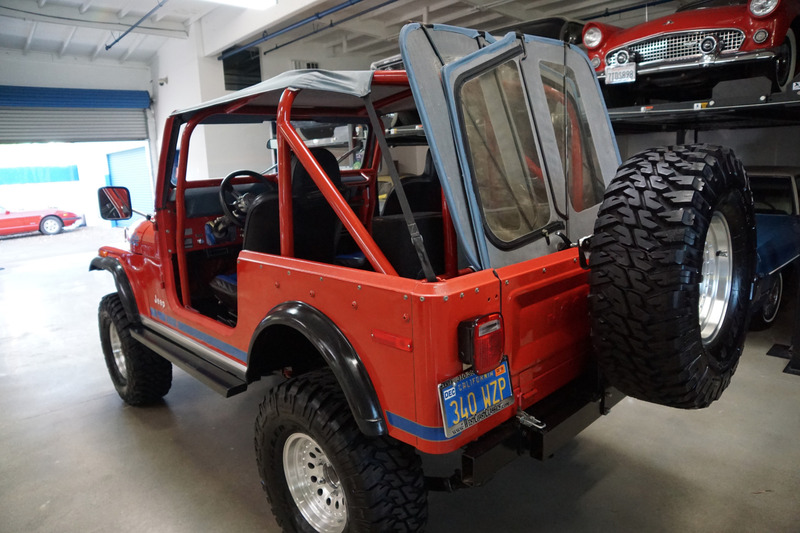 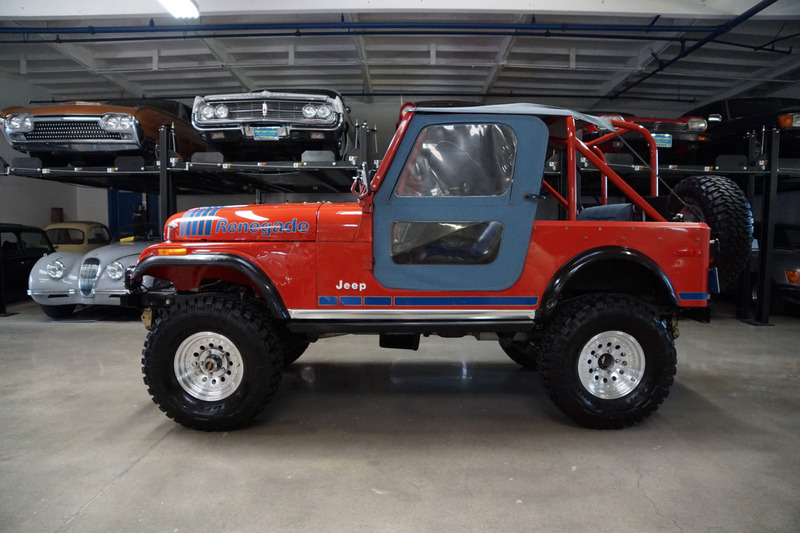 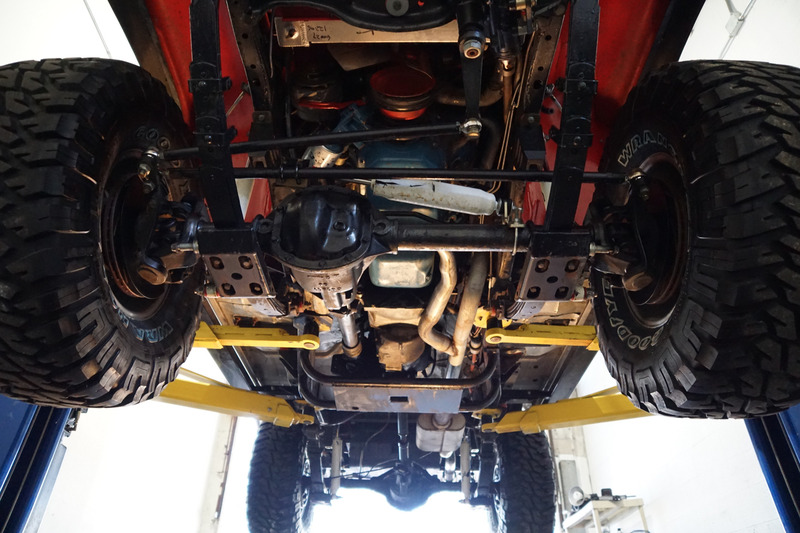 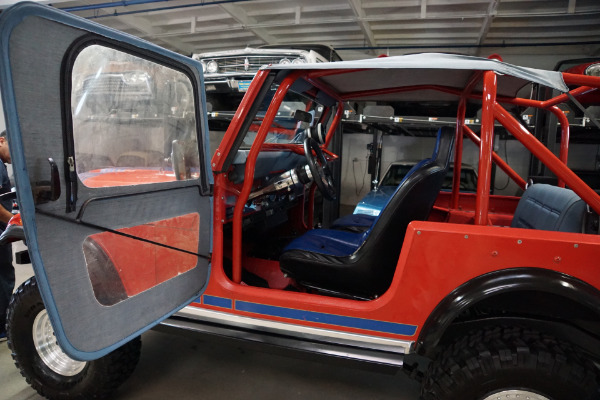 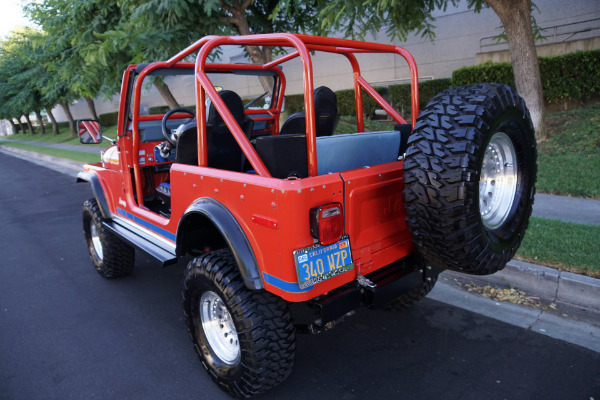 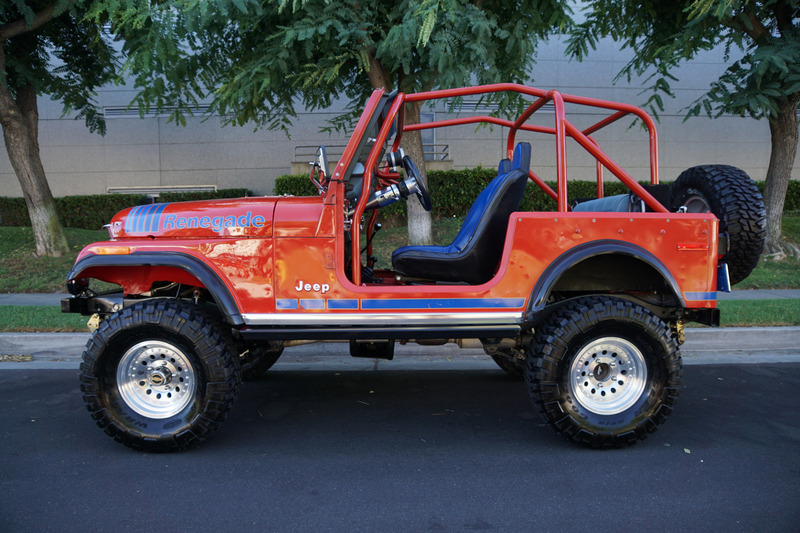 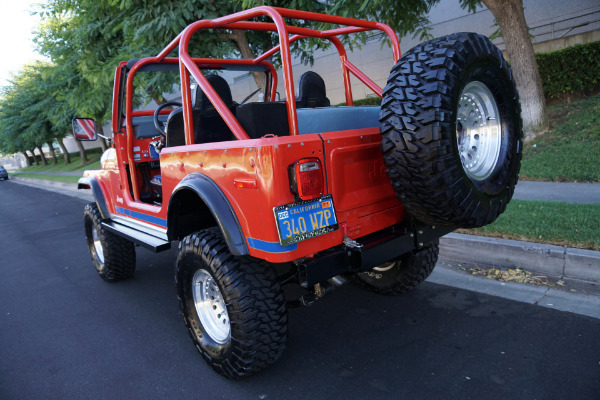 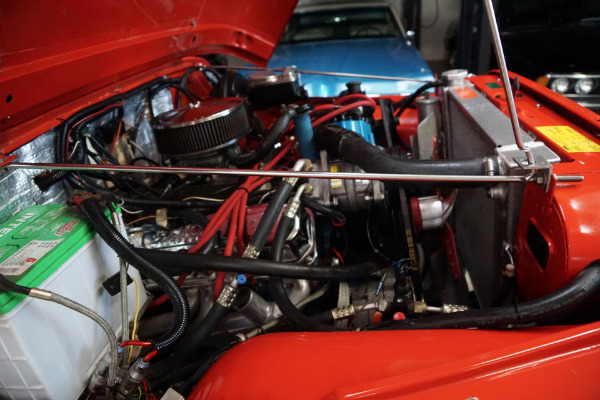 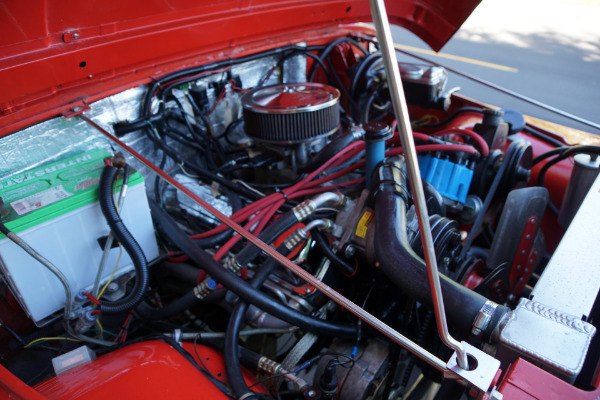 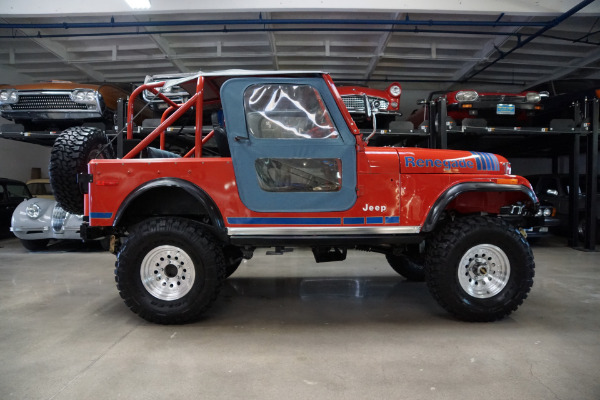 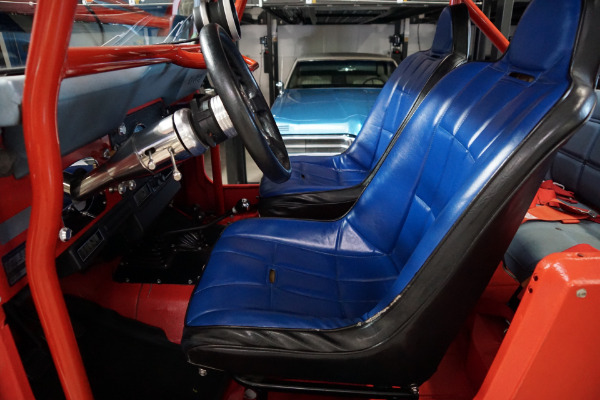 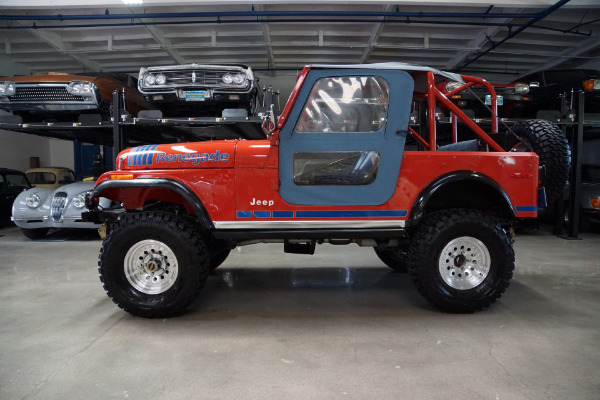 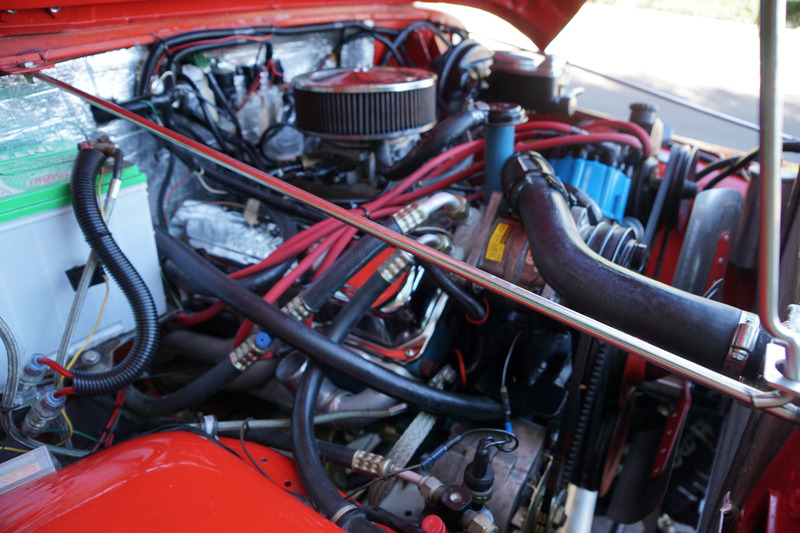 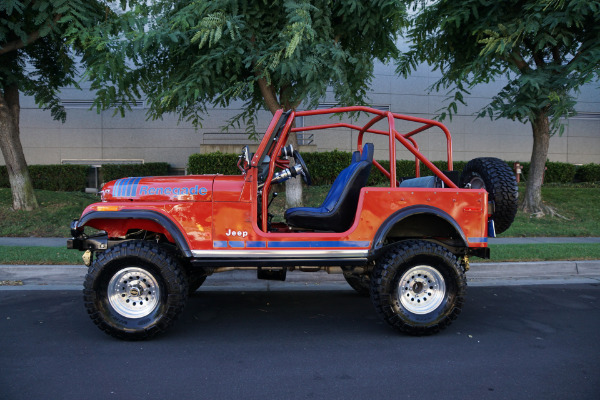 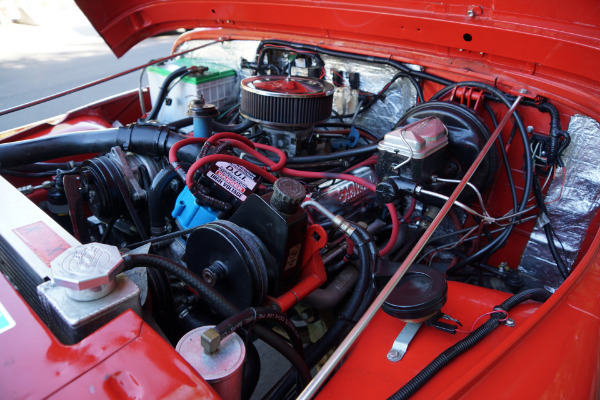 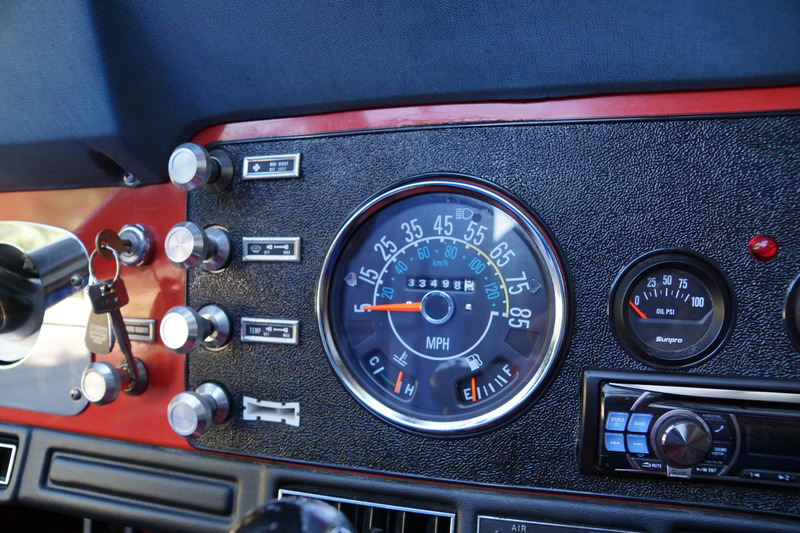 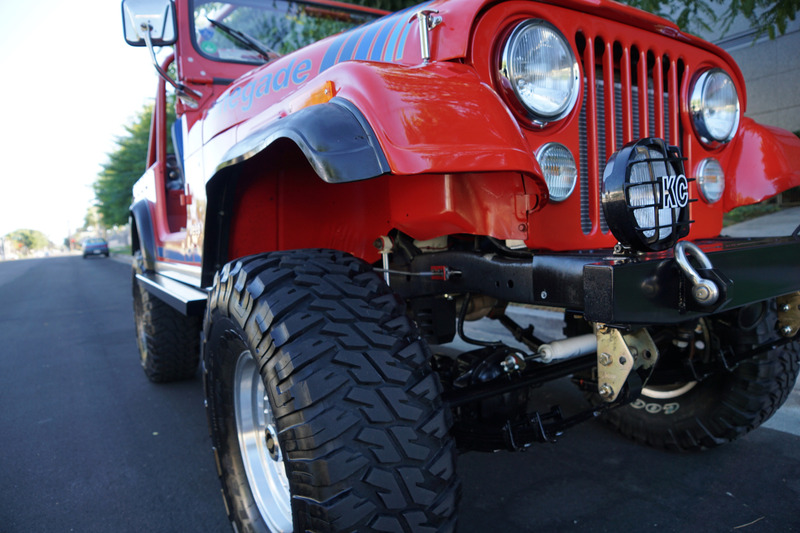 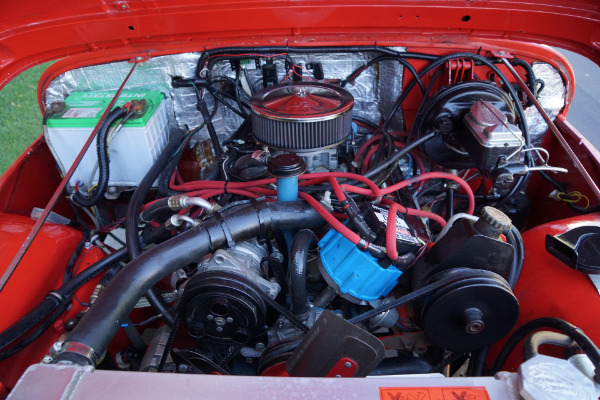 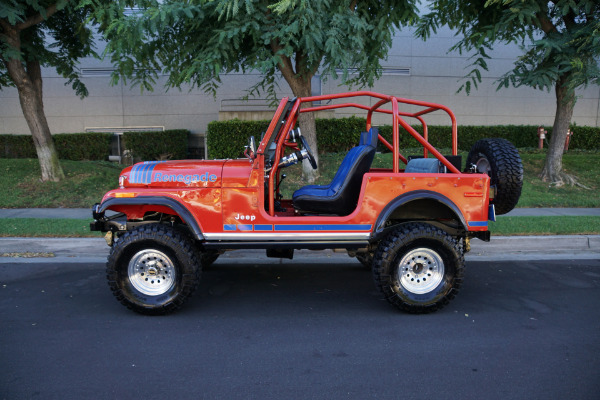 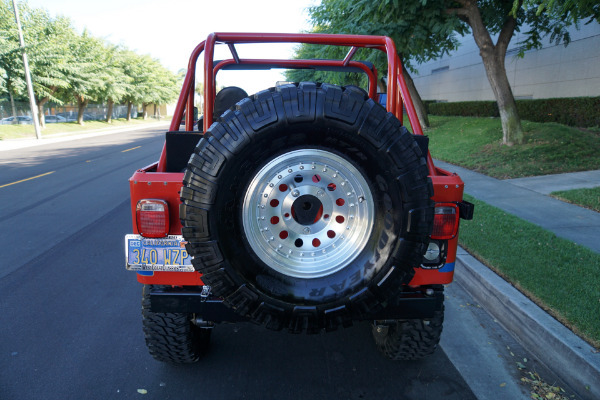 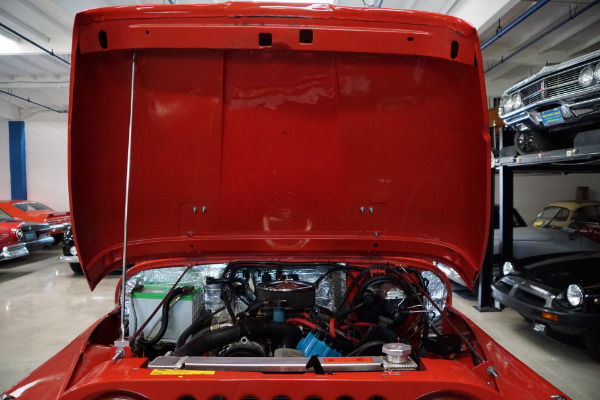 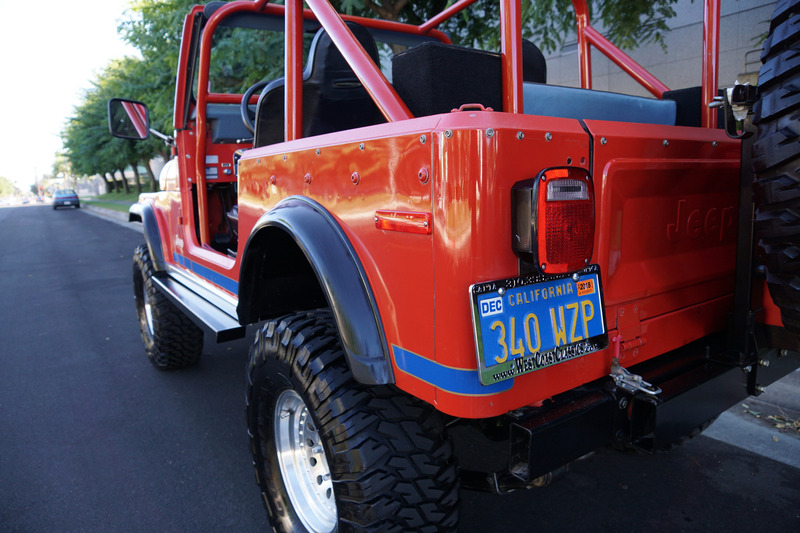 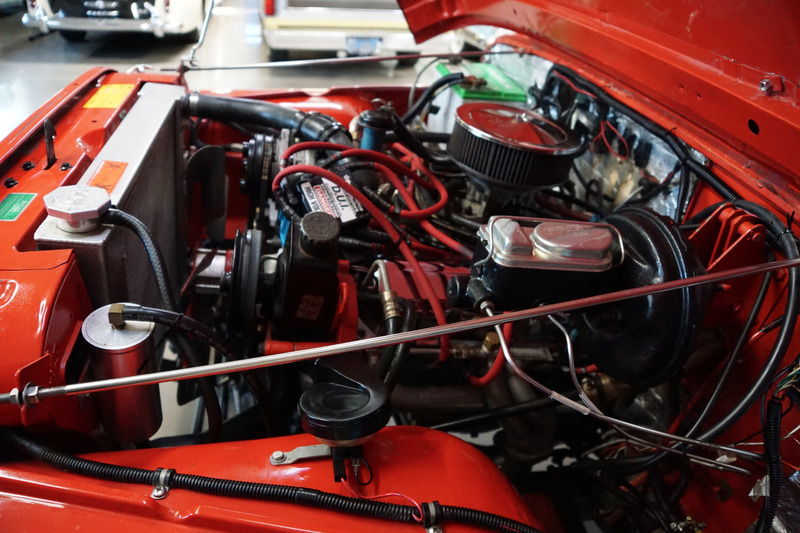 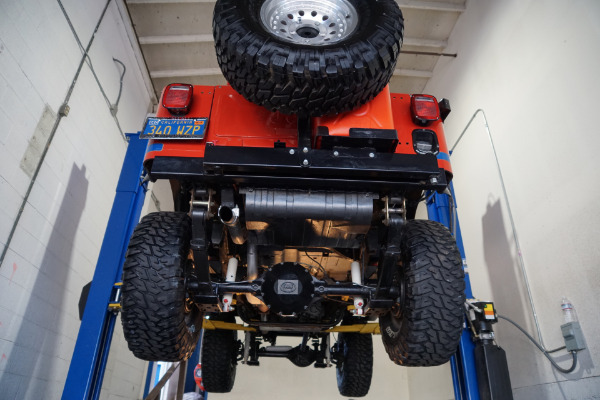 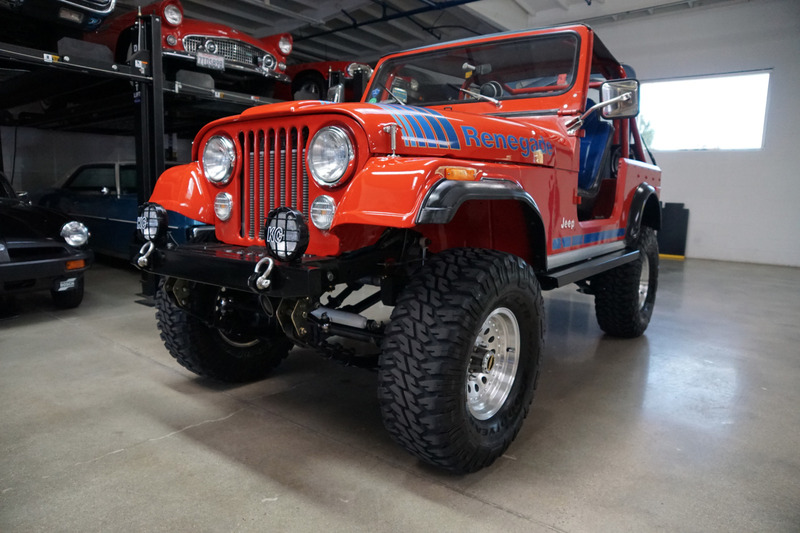 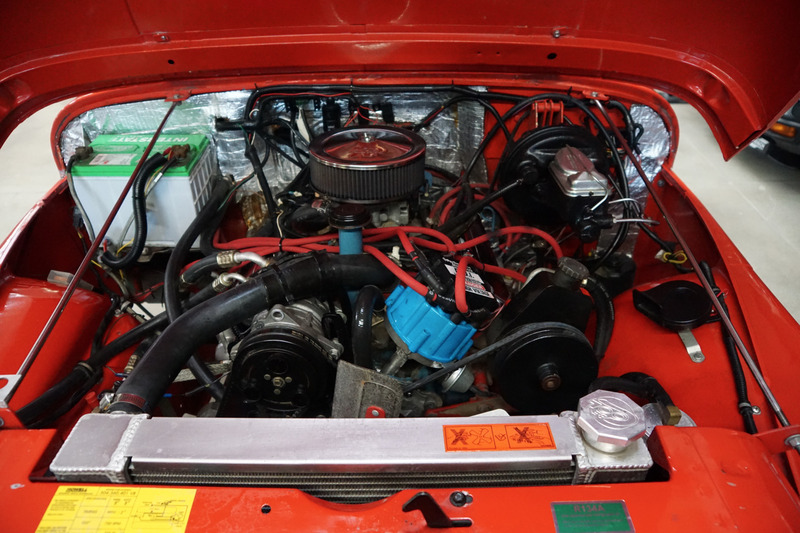 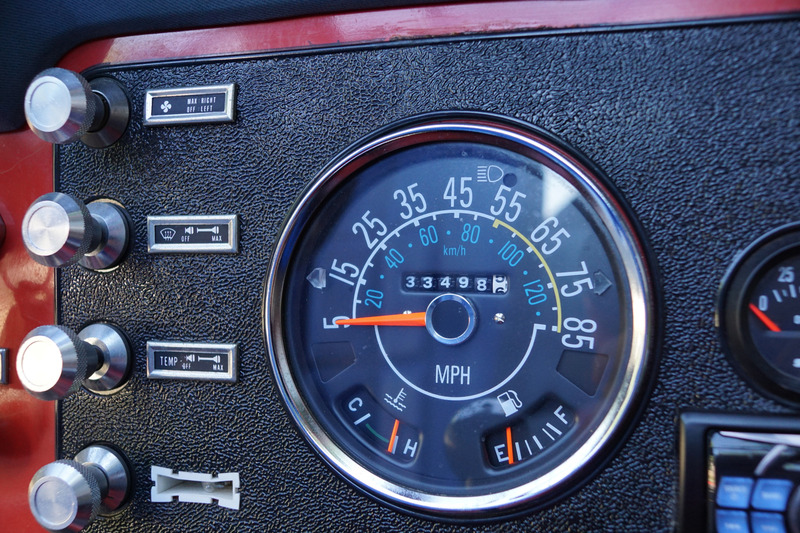 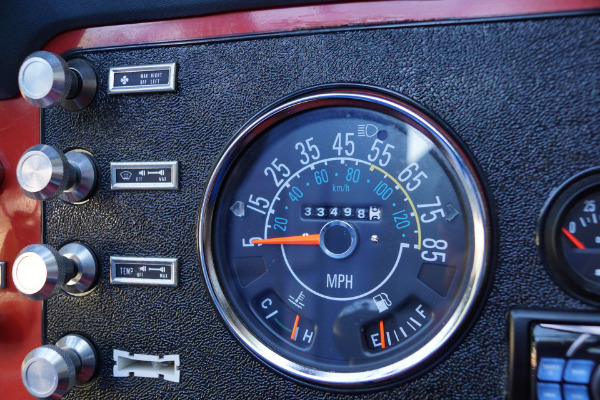 In 1976 the CJ-7 appeared as basically a stretched CJ-5 to compete with a growing assortment of rivals, fitted with the first factory-equipped hard top and steel doors among its upgrades. It would carry the CJ line for the next 11 years, right through AMCs merger first with Renault, then with Chrysler. Even after 30 years of CJ development, you didnt have to squint too hard to see the old hero of Normandy and Guadalcanal in the 7's sheetmetal. But if the design still looked inspired by cardboard shipping boxes, the changes were significant, including a longer wheelbase for more stability and a roomier and fancier cockpit. 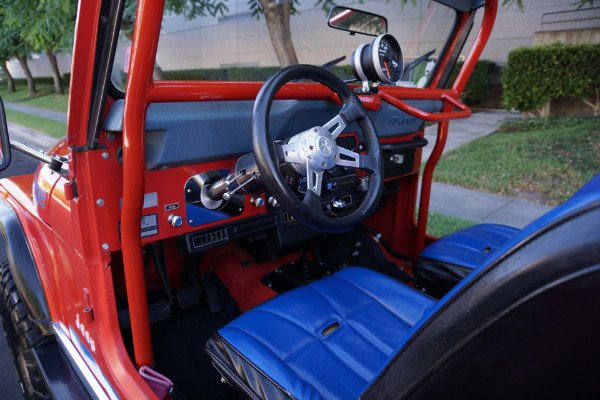 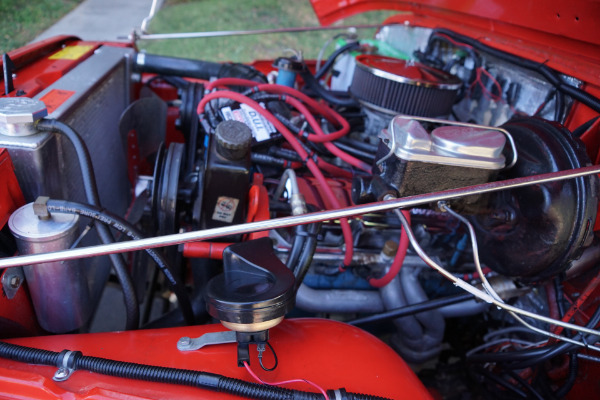 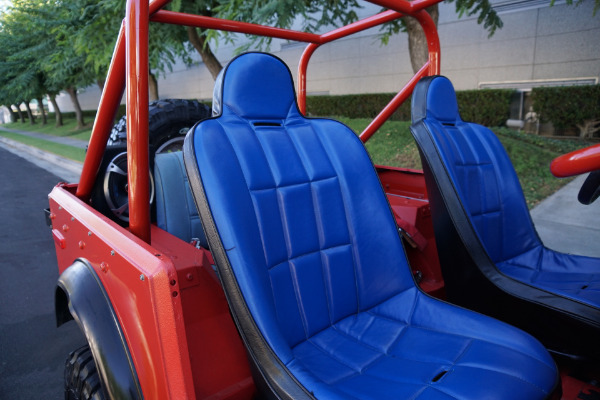 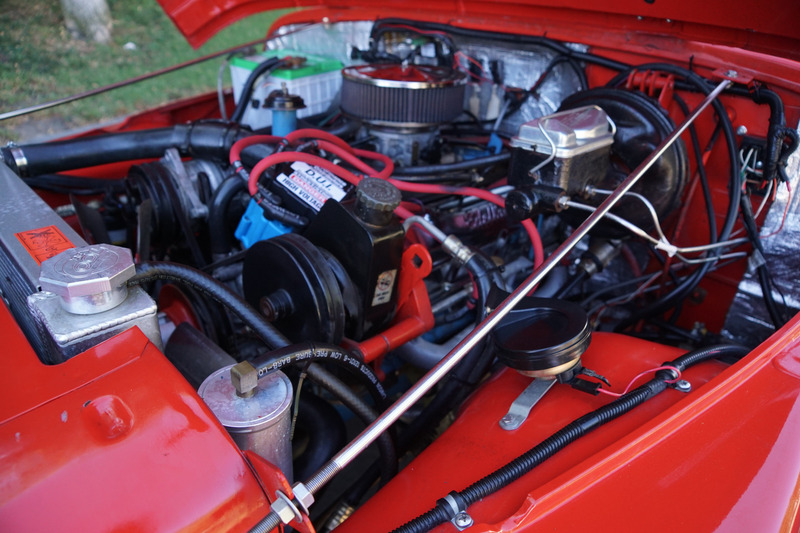 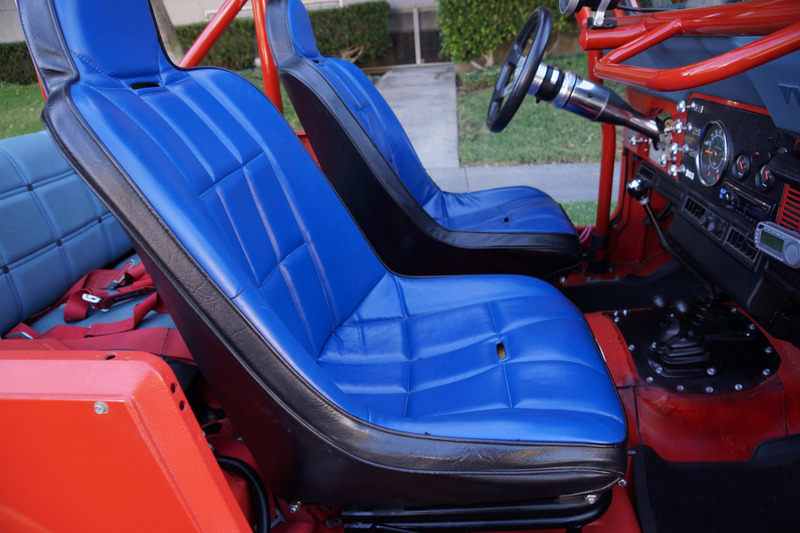 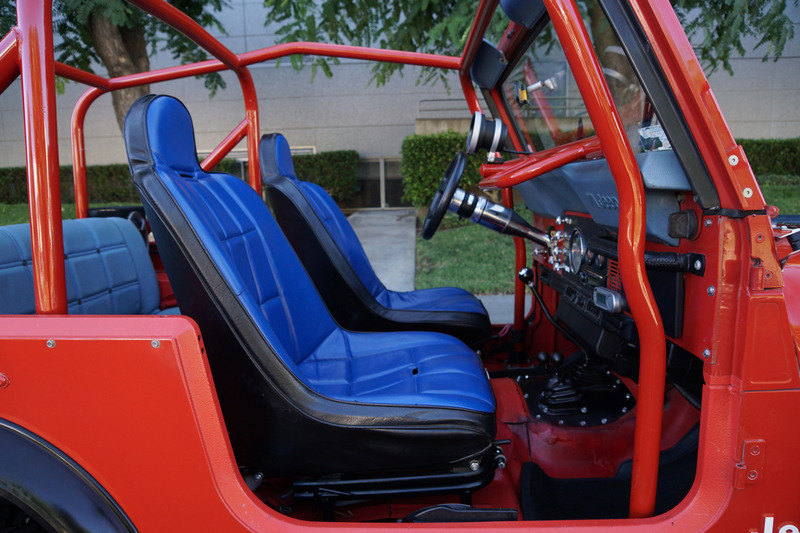 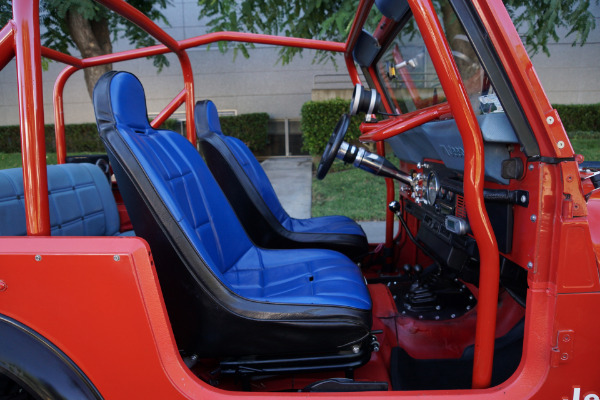 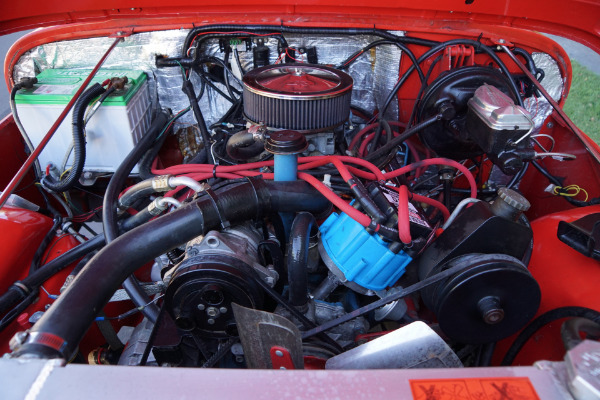 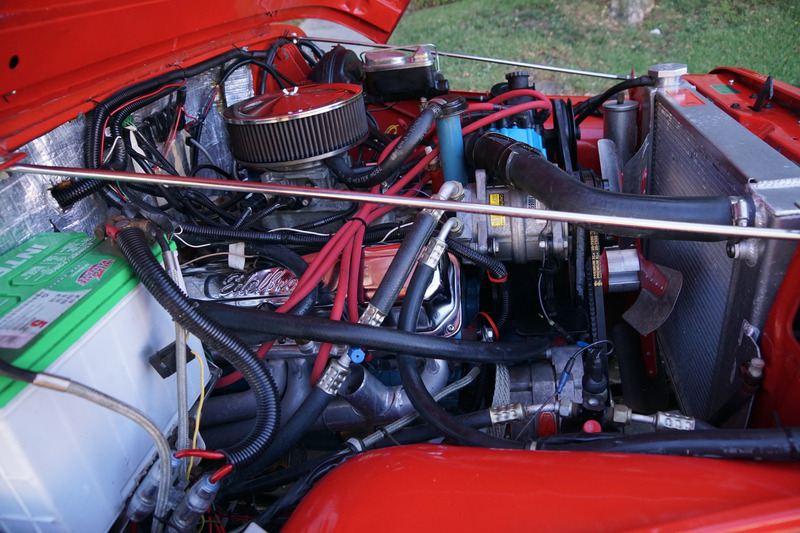 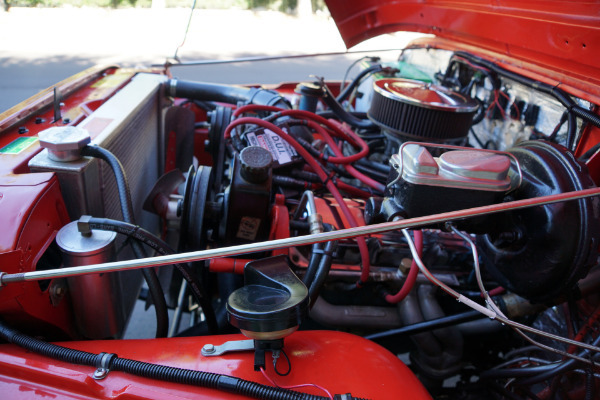 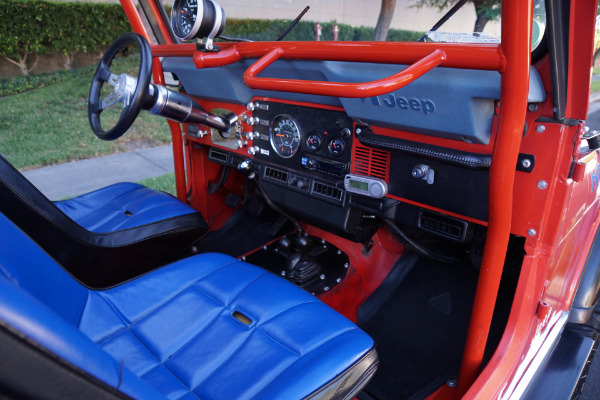 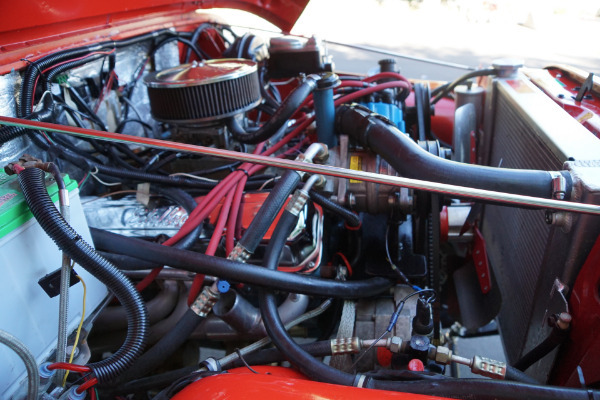 Even so, with the top and doors removed, the windscreen folded, and the CJ-7 put the wind in your face and bugs in your teeth just the way its predecessors had been doing since 1945!